The World Expo will be held in Dubai in 2020, meaning that the MENA & SA (Middle East and North Africa & South Asia) region will host the event for the first time. The Expo began in London back in 1851, and once every 5 years a new location plays host to the global event. Hosting such a prestigious event comes as a huge boon for Dubai’s continually growing economy, and marks a breakthrough for the region as a whole. The event demands a lot of planning, not just for the initial hosting, but for the long term use for all the investments. The process of securing the right to host the 2020 World Expo began back in 2011, when 5 cities made the final shortlist. These cities were Sao Paulo in Brazil, Yekaterinburg in Russia, Izmir in Turkey, and Dubai of the UAE. Dubai’s bid was titled “Connecting Minds, Creating the Future”, and in 2013 it was announced that Dubai had won. The Bureau International des Expositions (BIE) are the body responsible for selecting the winning bid, and after 164 member nations had voted, Dubai was the runaway victor with 116 votes. The process to build the infrastructure for the Expo then began; as the 6 month event will see millions of visitors arrive, with the potential to generate an additional $40 billion of revenue for the economy, as 277,000 new jobs are created. 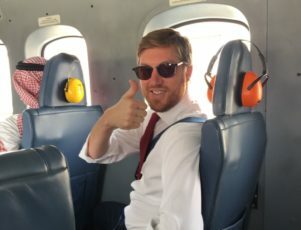 The main site for the event is named Al Wasl, which means “The Connection” in Arabic, and the 4.38 sq km site will feature a 65 meter tall dome that includes a 360 degree screen to project images to the thousands of visitors. Every nation that is appearing at the Expo will have its own pavilion, and there will also be 3 main pavilions for the central themes of the event, which are “sustainability”, “mobility” and “opportunity”. Contracts for the construction of these 3 key sites will be awarded later this year. The UAE is only 45 years old as a nation, but the history of the people and the region is obviously far deeper. 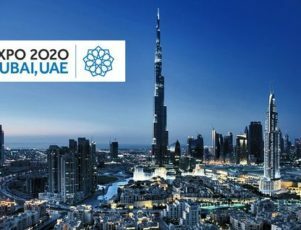 To try and illustrate this point, the 2020 Expo’s logo was based upon a ring that was discovered at a 4,000-year-old archaeological site in the Al Marmum area of Dubai. Many major global events lead to their hosts finding that they are left with large debts rather than long term growth. The Olympic Games and soccer World Cup have often proved a cost, rather than an economic boost, to their host cities. However, Dubai’s planners are confident that they are building for sustained growth. Aside from the new jobs created to prepare for the Expo, the organizers say that 80% of the buildings created for the event will continue to be used once it has ended. An additional 28,000 hotel rooms will have been built by 2018, and this should help continue Dubai’s growing tourism trade. In addition, major expansion of the Al Maktoum International Airport is planned to carry on after the Expo, with the works to finish in 2025. The 2020 Dubai Expo is also aiming to be the first one in which more than 70% of the visitors are from overseas, which should again help sell Dubai as a tourist destination to many people new to the region. A new city is being built in the Dubai South region, a city which will eventually host 1 million residents and 500,000 jobs. Long term contingency plans for the various developments used at the Expo are in place, and already Siemens has announced that, from 2021, it will use Expo site as its global logistics base. The Middle East is overcoming cultural barriers, and political and financial challenges, to become a paradise for potential investors. Emerging local technology companies are flourishing and giants from the US, Europe and Asia are taking notice. From the arrival of business angels, to the sale of Souq.com to Amazon, the region is showing greater creditability for investment projects and successful business ventures. Although there are huge obstacles facing the business markets of some countries across the region, the six Gulf Cooperation Council countries (UAE, Qatar, Oman, Saudi Arabia, Bahrain and Kuwait) plus Egypt, Lebanon and Jordan are emerging as an economic hub. According to venture capital site Beco Capital, there are over 160 million people in the region, 85 million who are online, and 50 million who are adult digital consumers with disposable income. These countries have the highest value consumers, enterprises and entrepreneurs, as well as, the youngest populations and high smartphone and broadband usage. This largely untapped market, is becoming the breeding ground for local technology startups, and big players from abroad, who wish to tap into it. So far, only 8% of businesses in the Middle East and North Africa (MENA) have digital presence (as opposed to 80% in the United States) and only 1.5% of the region’s retail sales are digitally transacted, meaning there is still plenty of growth to come. According to Beco Capital, each digital job is estimated to create two to three more jobs in the economy, meaning the digital market could add up to $95 billion in annual gross domestic product by 2020. The business landscape of the region therefore, shows a lot of promise to foreign investment. According to research house MAGNiTT, there are now over 3,000 startups across the region, with $870 million spent in startup investment last year. The top 100 startups raised over $1.42 billion in funding and each startup has raised over $500,000 individually. Some 68% of startup founders come from the Middle East, although many hold dual citizenship, 12% of successful startup founders are female, and the UAE hosts 50% of the most funded startups in the region. 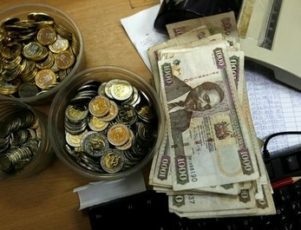 These figures have attracted foreign investment from abroad. According to Bloomberg, Amazon’s recent acquisition of Dubai based, online market retailer Souq.com, shows that e-commerce in the Middle East is set to take off. 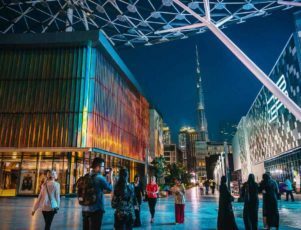 Out-bidding Emaar Malls PJSC, which owns the world’s largest shopping center, at $800 million, Amazon is actively looking for new areas of growth, and seems to have found it in the Middle East. According to Bloomberg, Souq.com has 23 million online visits a month, employs over 3,000 people and sells more than 400,000 products, from electronic goods to household products and clothes. An angel investor is usually an affluent individual or professional investor who provides startup capital for a new venture in return for shares in the business. In a report drafted by Harvard Business School experts, angels increase creditability to projects and increase possibilities for success. The report found possibilities for success increased by 10 to 17% when initial investment was done outside the US. According to the National back in 2012, enthusiasm for angel investment was growing across the Middle East. High speed internet connections enable the regions businesses to reach a global audience, meaning companies can grow without need for crippling overheads previously associated with foreign investment. Executive chairman of Oasis500, a Jordan based investment program, Usama Fayyad said the Middle East was a unique opportunity for investors to participate in companies who could easily grow in value two to ten times over in a matter of months. Business angels may also have valuable knowledge and experience to help struggling startups. Serial entrepreneurs, who have started their own business can mentor local companies to ensure successful management strategies. Despite the war and poverty stories emanating from across the region on the nightly news, the Middle East is well on its way to becoming a global hub for investment. Even with numerous challenges, this has not stopped the region, as a whole, from overcoming the first phases of business development to build a promising startup ecosystem. Sources: (1), (2), (3), (4). Foloker Folarin-Coker is not a name that is as famous as some within the world of fashion, but she has created an African fashion label that has not only proved hugely popular within the continent, but has begun to attract attention from further afield. Folarin-Coker has already achieved many firsts for an African fashion designer, and is determined to build her label into something even greater. Foloker Folarin-Coker was born in Lagos, Nigeria in 1974, and at a young age she went to Switzerland and the UK in order to further her education. 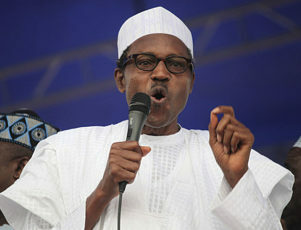 Folarin-Coker eventually graduated with a master’s degree in petroleum law, and returned to Nigeria in 1996. While her education seemed to be leading to a career in law, her real passion was in fashion, and despite having no background in the competitive industry, she created a small collection of her own designs upon her return home. By 1998, Folarin-Coker had launched her label, Tiffany Amber, and the label has gone on to become one of Nigeria’s most popular fashion brands. The label’s domestic success led to 4 stand-alone stores in Lagos and Abuja, and Folarin-Coker became the first winner of the “Designer of the Year” award at African Fashion Week in 2009. However, it is not just in the domestic market in which the Tiffany Amber line has proved popular, as Folarin-Coker was invited to showcase her designs at the New York Fashion Week in 2008. Her collection was met with such praise that she was invited back the following week, becoming the first ever African designer to present a range twice at the prestigious event. In 2013, Forbes magazine listed Folake-Folarin as one of Africa’s 20 Young Power Women, and by 2014, the self-taught designer had staged more than 60 fashion shows at home and abroad. As the designs continue to prove popular and her range continues to grow, Folarin-Coker is determined to create a brand that remains iconic long after she is no longer around. She has said that her ethos is to work for the future as opposed to the present, and she has a firm belief in the talent within the Nigerian fashion industry. 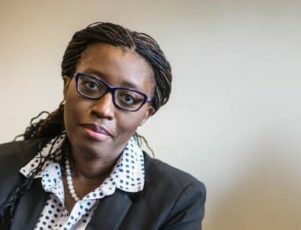 As she continues to look forwards, Folarin-Coker says that her goal is to “have a presence all over Africa and ultimately every major city of the world.” Only time will tell whether these grand designs for the future are achieved, but thus far her goals have certainly been met with success. While mobile phone penetration has been rapidly increasing throughout Africa for several years, until now, all the smartphones sold on the continent were imported from overseas. However, as AfriOne opens up its first smartphone production factory on the continent, the hope is that the flourishing technology can provide greater employment opportunities for the next generation. Mobile phones have become an integral part of life for many people, and the proliferation across Africa has increased rapidly in recent years. In Nigeria, the market penetration has surged and investments in the telecoms sector skyrocketed by 6400% in the past 4 years. With such growth, it is no surprise that Africa’s first smartphone production unit has found its home in Nigeria. 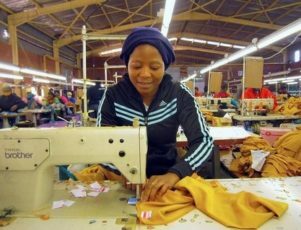 The company AfriOne has established the factory in Nigeria’s Lagos Free Zone with an initial investment of $10 million. The plant will begin producing 120,000 units per month; however the company is confident that the facility will eventually produce as many as 300,000 products per month. The new range of smartphones will cost between $92 and $108 and are aimed at Nigeria’s middle income consumers. AfriOne’s parent company, Contec Global, intends to open up a second production unit as it continues its expansion. The investment seeks to capitalize on the huge expansion in e-commerce within the region. E-commerce is predicted to account for 10% of all retail sales in Nigeria by 2025, and consultant group McKinsey estimates it could be producing $75 billion in annual revenue by this time. 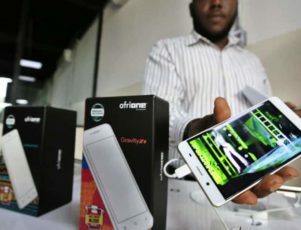 The unveiling of a facility such as AfriOne’s new smartphone production unit offers immediate job opportunities as well as the obvious increase in options for the Nigerian consumer. AfriOne’s Chief Operating Officer, Mr. Sandeep Natu, told the press that the factory will initially employ around 500 people. Both the company and government officials are hopeful that the long term benefits of the operation will be more far-reaching. Contec Global’s Managing Director, Mr. Roheen Berry, said that the company is dedicated to increasing opportunities for young Nigerians through a policy of Corporate Social Responsibility. The Nigerian government believes that the venture will not only create immediate employment opportunities, but will help foster a culture of innovation and technology within Lagos that could lead to greater long term growth. Lagos State Governor, Akinwumi Ambode, announced the plant’s opening at a press conference in which he expressed hope that this would lead to the city of Lagos create a 24-hour economy. The factory promises to offer these students practical experience within the field of telecommunications and mobile technology, thus spreading the potential impact on future job creation far beyond the direct employment within the plant. Nigeria currently has around 154 million mobile phone users, and e-commerce and mobile banking are both rapidly growing sectors within the West African nation. As these markets continue to grow and attract investment, a domestic center for the production of the medium needed to access these fields may seem long overdue. AfriOne assured press that the phones would use cutting edge technology and would come with popular African apps for banking and farming already installed. 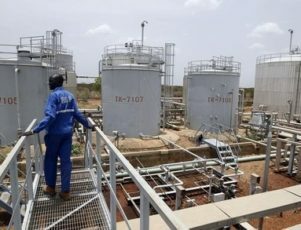 AfriOne will be looking to expand its production base quickly, and the local government hopes that further development provides an ongoing boost to economic growth and employment.